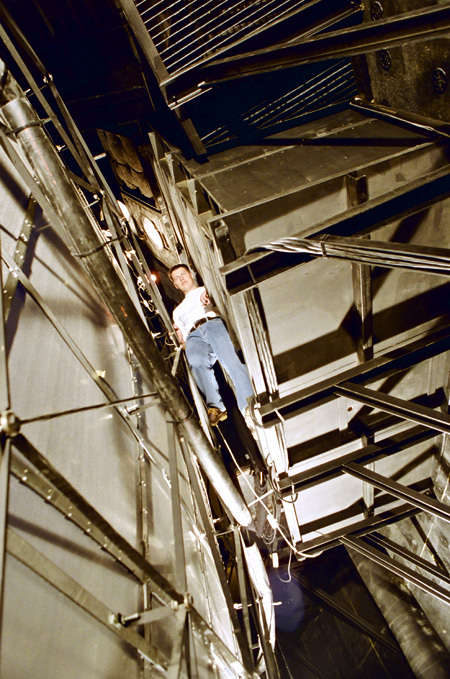 The writer is seen here standing on top of the IMAX dome beside one cluster of speakers. Each channel consist of JBL speakers model 2404 H tweeter, 2445 J driver, 2123 H midrange and 2245 H woofer. Imax theatres require a sound system able to produce believable effects and operate reliably at unusually high power levels. The Imax sound system by Sonics provides extremely high sound quality that does full justice to the unique film presentation. A Sonics sound system operates in an environment which is quite different acoustically from most other theatres. The Imax film program depends on the optimum performance of the combined projector and sound system to achieve maximum audience impact. In 1988, Imax acquired Sonics Associates Inc. as an affiliate. Alabama based Sonics is a world leader in sound system design and offers customers the benefits of more than 26 years of research and hands-on experience in the IMAX theatre network. The 35mm sound dubber with 6 channel magnetic IMAX sound. To the left all the amps are located. I will try to describe how the audio system works, from projector to the audience. 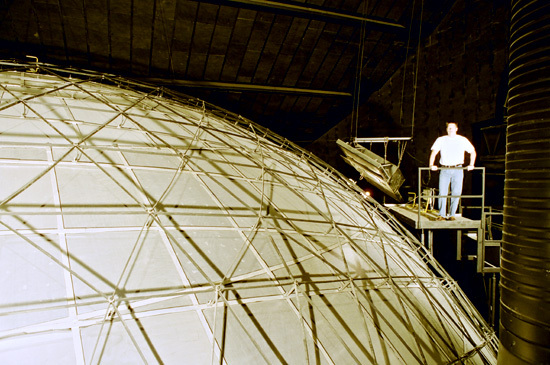 Sound for an IMAX or IMAX Dome film program historically has been supplied on 35mm sprocketed magnetic film which runs at 90 feet per minute (45.7 cm/sec.). 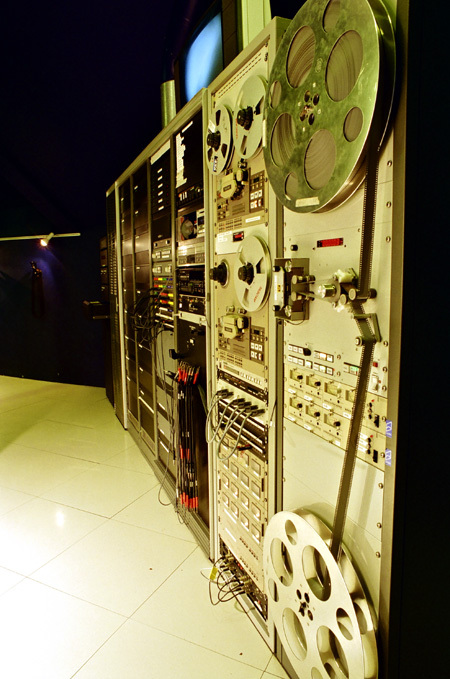 The sound reproducer, often called a dubber, is located in the projection room. This multi channel playback unit was originally developed for film studios where banks of them are used when mixing sound tracks. It provides exceptionally high quality sound reproduction and feeds the six channel system plus sub-bass through IMAX TAC-86 multi channel audio control computer. Maximum playing time is one hour with a reel capacity of 5000 feet (1500 m). An interlock circuit between the projector and the reproducer maintains frame-to-frame synchronization of projected picture and sound. 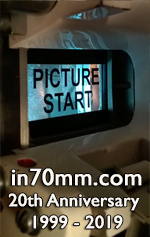 A rotary shaft encoder required for synchronizing audio reproduction is installed in the IMAX projector. 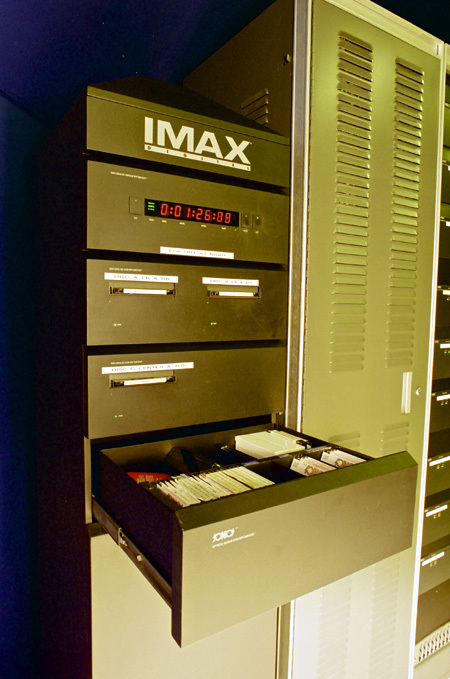 Most newer IMAX films are now using the IMAX digital sound DDP designed by Sonics. DDP is short for Digital Disc Playback. The system is a digital sound source specifically made for IMAX. Sonics uses compact disc technology to create the highest quality sound delivery possible today. Wide frequency response, dynamic range and the accurate perception of time are the attributes of DDP. A frequency response of 20 – 20.000 Hz is maintained over the entire audio spectrum of ten octaves. Six octaves is found in conventional cinemas. Three CD’s are used for each soundtrack, one CD for every 2 channels. The audio is sent to the Sonics TAC-86. From the TAC-86 the signal is sent to the computer-controlled 1/3 octave equalization unit, developed for IMAX. This unit matches the sound system performance to suit the acoustics of the particular theater in which it is installed. The equalization can also be used to compensate the response of particular films for optimized playback in a particular theater. 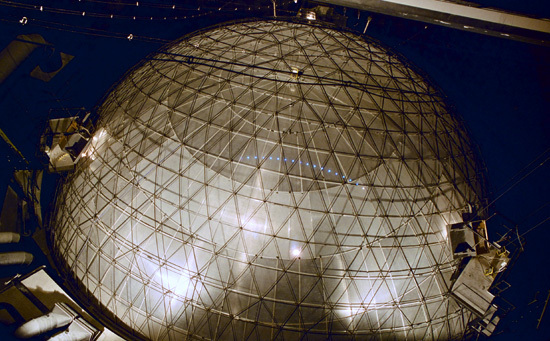 The complete 23 meter dome seen from above. After the equalization, the signal is sent to the power amplifiers. The amps deliver more than 2000 watts per channel. The entire system is more than 15000 watts. The six audio channels are fed to a 4-way JBL speaker array. Every section is equipped with JBL models no: 2404 H (Ultra-High Frequency), 2445 J (Wide Range), 2123 H (High Power Low Frequency), and 2245 H (Medium Efficiency Extended Bass). They are located to give strong directional effects and placed as follows: Channel 1 Left rear (theater), Channel 2 Left screen, Channel 3 Center screen, Channel 4 Right screen, Channel 5 Right rear (theater), Channel 6 Top of screen. A special subwoofer with 8 JBL model 2245 H (Medium Efficiency Extended Bass) in one enclosure (a cabinet huge like a caravan) is provided to extend the range of the main channels and reproduce such sounds as rocket launches, thunder, close-flying aircrafts, etc. at loudness which approaches that of the original sound source. Because the lowest pitched sounds that human can hear are also felt, this enhances the realism, making the audience feel they are actually experiencing the event. The writer is seen here standing inside the subwoofer. The subwoofer is equipped with 8 JBL 2245 H woofers. The group of sub-bass speakers, located at the front of the theater behind the screen, is fed a mix of low frequency sound derived by the TAC-86 from all six channels. The power amplifier for sub-bass is more than 3000 watts. The price for the Sonics sound system is more than 300,000 $. 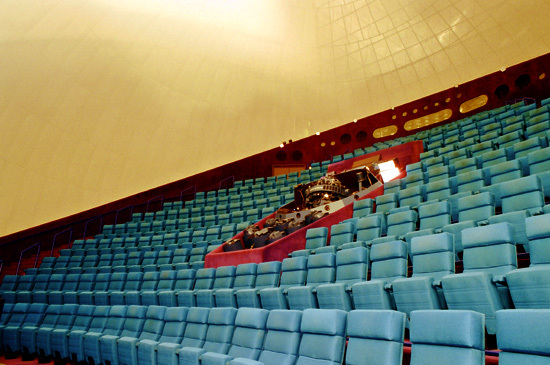 The IMAX Dome cinema in Copenhagen. After 7 years of work with Sonics sound system, there has never been one complaint about the sound system, except maybe that it is too loud. I have listened to the system many times with hi-fi enthusiasts, and they always say it is the best cinema system they have heard. Because of the enormous power you can always hear all details. Thanks to Sonics for the good experience.